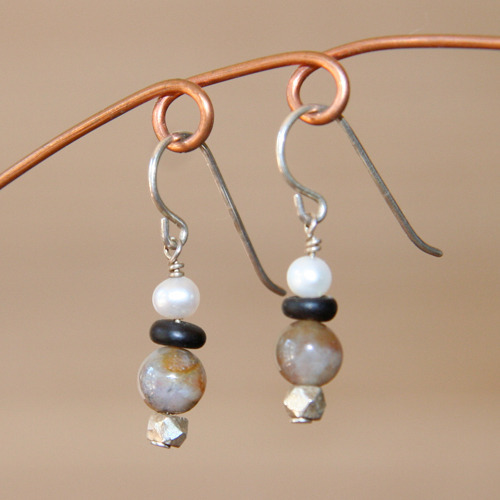 A short stack, including freshwater pearl, wood, jasper and silver, dangles on a French earwire. All silver is sterling. Approximately 1 inch long, including earwire.